At Living Solar, we pride ourselves on our unrivalled commitment to personal service and after sales support. Living Solar offers a Melbourne based expert and tailored consultation and design service to ensure your Rinnai solar hot water heater will suit your family’s particular hot water needs. 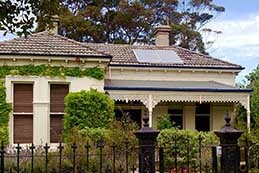 Offering Melbourne’s most competitive Rinnai Solar pricing, Living Solar can provide you with the best solution for your solar hot water needs. Living Solar has the expertise and experience to assist you with the full range of solar hot water options, from single units through to multi-dwelling developments. We offer supply and install or supply only options. Living Solar can design, supply and install custom systems for high hot water demand applications, such as high rise multi unit developments, sports facilities, dairies and other commercial needs. 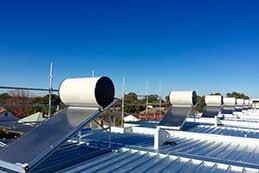 These systems can have solar pre-heat added to suit a wide range of budgets, with generous government rebates available. Call 03 9676 2620 for a FREE Solar Hot Water Quote or CLICK HERE to contact us online. 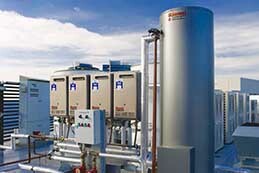 Living Solar and Rinnai Solar Hot Water are two of the most respected names in Melbourne and surrounding areas for the supply and expert installation of the latest and most efficient Rinnai solar hot water systems in Australia. Servicing the entire Melbourne metro area, the Yarra Valley, Mornington Peninsula and Geelong the fully licensed expert Living Solar technicians have many years of experience in providing the most efficient solar hot water solution for homes, commercial buildings and industrial applications based on our individual customer’s budget, hot water usage and building type. 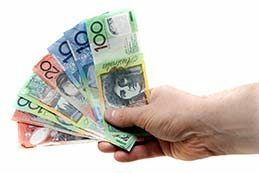 A one of Victoria’s leading solar providers we also keep our residential and commercial customers up to date with the latest government rebates and incentives for installing solar hot water systems. Our Government Solar Rebates page and our FAQ page will answer many of your questions. If something isn’t clear feel free to contact us for clarification. Since 2007, Living Solar has exclusively specialised in Rinnai Solar products and is a member of Rinnai’s premium solar dealer network. We have the expertise to advise you on the Rinnai system that will best suit your unique needs, whether it be a replacement system for your home, a system for your new build or multiple systems for your trade development or commercial application. Our installers have over 10 years of experience installing the full range of Rinnai Solar products. Our professional installation team can quickly install a system, usually within one day, with minimum disruption to you and your family.